The Perth Mint is an extremely old producer of gold and silver as it was first in business all the way back in 1899. At the time, it was opened as an arm to the British Royal Mint and accompanied two other mints in both Melbourne and Sydney; both of which are no longer in business. The original Perth Mint facility was in business up until 1990, at which point the company migrated into a more modern facility located only a short distance away from its original home. In barely over 30 years of being established, the Perth Mint had produced well over 100 million gold coins for use as Australian currency. After 1931, however, Perth stopped minting coins as Britain had veered away from the gold standard. This did not hurt Perth all too much because once coin production stopped they picked up minting bullion bars of all sizes. Only a few years after Perth stopped making coins, they were once again in the business of producing currency but this time it was copper pennies and half-pennies. Today, and especially during its early years, the Perth Mint has been renowned for their ability to output massive quantities of coins and bars. In 1957 Perth made history by being the company to produce the absolute finest gold bar on the market. Instead of he 99.99% gold bars people were accustomed to seeing, Perth came out with bars that were a striking 999.999 parts per thousand gold. To put things in perspective, the Royal Mint in the UK ordered bars as a way to encourage their own company to pursue such fine gold bars. Regardless of this, Perth Mint was still British owned and this was true until it was given to the Australian government in 1970. The gold boom in the 1970s and 80s was enough to solidify Perth’s position as one of the best producers of the metal in history. 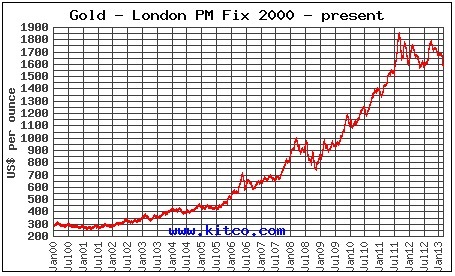 Even today they are outputting massive quantities of some of the finest bullion bars around. They are ever-expanding too, as seen by the fact that they are employing new facilities and employees all the time. Because Perth has been in the precious metals industry for so long, it comes as no surprise that they are able to offer a seemingly endless supply of different gold products. Apart from coins and rounds, their bars come in just about any size known to man. 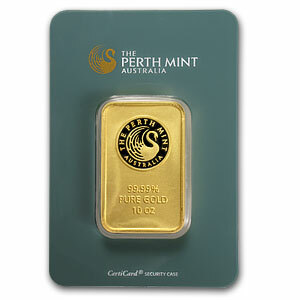 Whether you are looking for a gold bullion bar as small as a half ounce, or an investment larger than 1,000, Perth has you covered. Every bar that exits a Perth Mint facility is stamped with a seal and the larger bars even include a serial number so that you can be assured of its authenticity. Perth Mint is known around the world so you will likely be able to find their products on sites in Asia just as easily as you will be able to find them being offered by North American online precious metals dealers. For starter, or small-time investors you can be sure that you will not spend a fortune because Perth also produces bars that are as small as 5, 10, and 20 grams. Really, this mint has is a one-stop shop for all metals investors. Perth Mint is one of the very few mints that also employs a website where you can make bullion purchases directly from the company. Not many other mints do this and because Perth does you are able to purchase your bullion at a price that is much closer to the current spot value of gold. In fact, their website brags about them having such low premiums. Even if you buy Perth Mint gold bars from an online dealer such as JM Bullion you will still find that the premiums are much lower than a number of other brands. This low premium, however, can only be realized if you are a smart shopper and do some competitive pricing checks. By comparing the prices of bullion offered on one site to the price it is on another site, you will quickly see what site is giving you a deal and what site is trying to get a few extra dollars out of you.